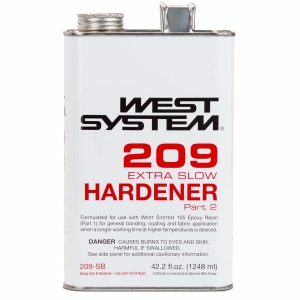 209 Extra Slow Hardener is formulated for use with WEST System 105 Resin for general coating and bonding applications in extremely warm and/or humid conditions or when extended working time is desired at room temperature. 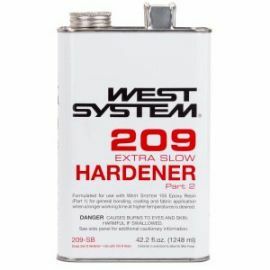 Provides approximately twice the working time of 206 Slow Hardener. Forms a clear, amber-colored solid with good physical properties and moisture resistance for bonding and coating applications. Not intended for clear coating.